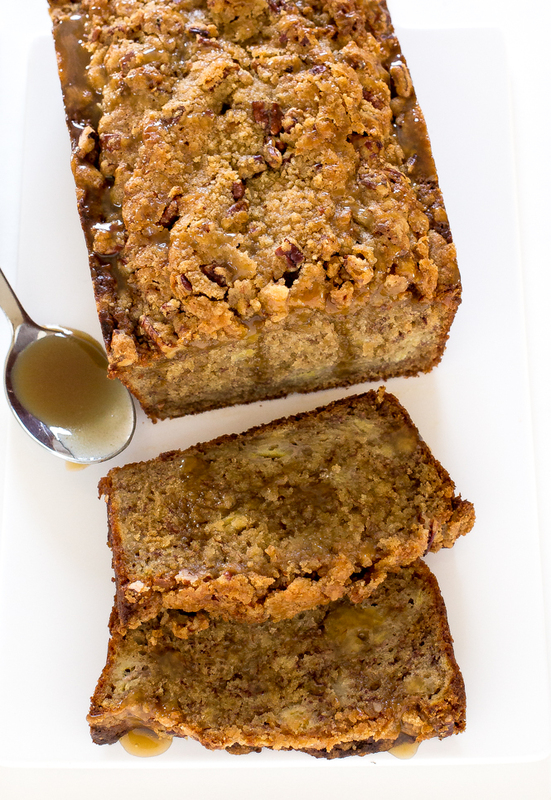 Caramel Pecan Banana Bread swirled with homemade caramel sauce and topped with a pecan streusel topping. 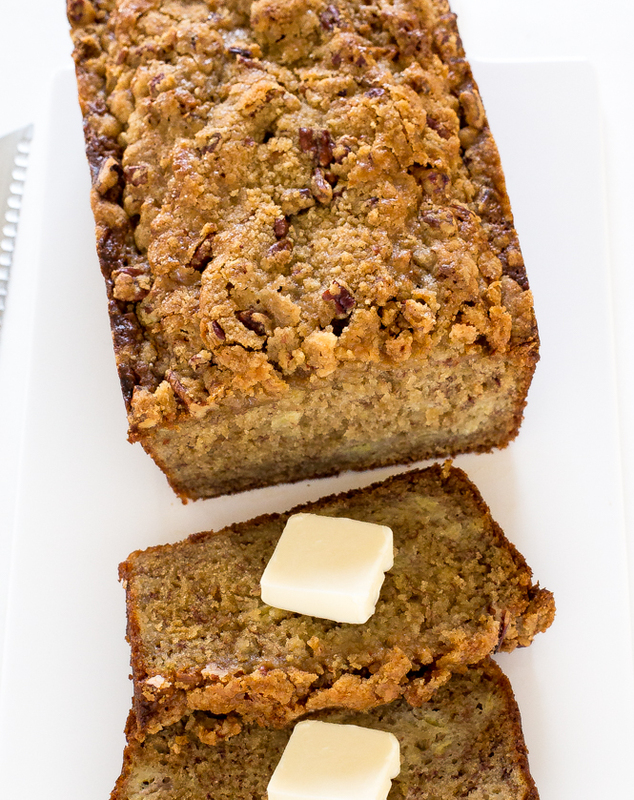 This is the BEST banana bread you will ever have! 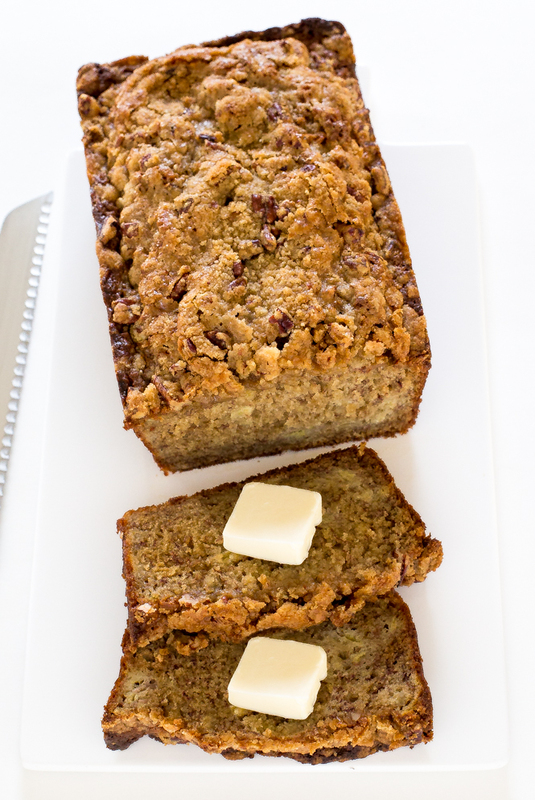 I’ve found my new favorite banana bread recipe. 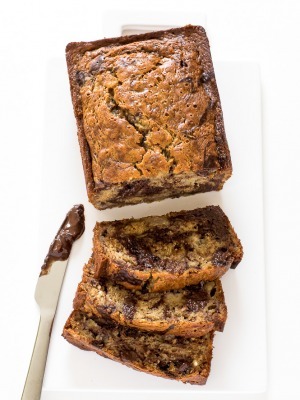 This banana bread is incredibly moist, perfectly sweet with a crisp crunchy topping. Swirled with lots of caramel this banana bread is AMAZING. I made my own caramel sauce for the bread. It’s super easy and only requires 4 ingredients. It can also be stored in the fridge for up to a month. Simply simmer brown sugar, heavy cream and butter until thickened. Stir in vanilla extract and store in the fridge. For the pecan streusel topping I mixed together brown sugar, pecans and flour. 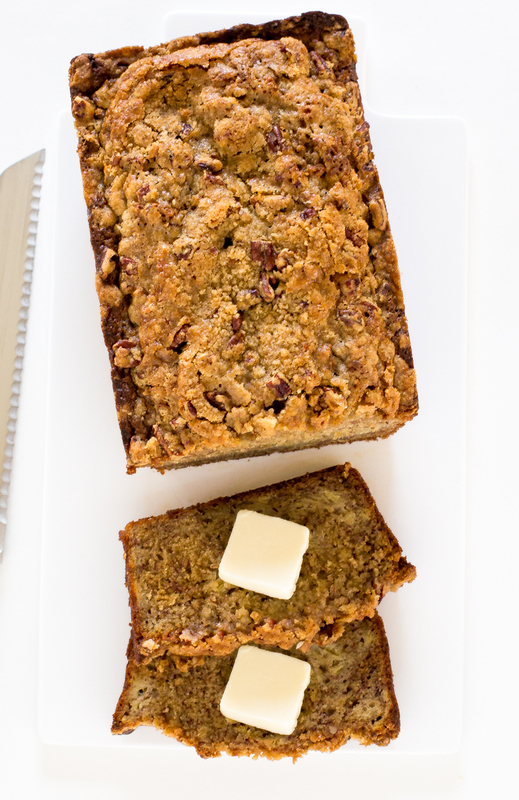 The streusel topping gives the bread a nice crunch. Buttermilk helps to keep the bread super moist and soft. For added crunch you can fold in some nuts to the batter or add in raisins or even chocolate chips! 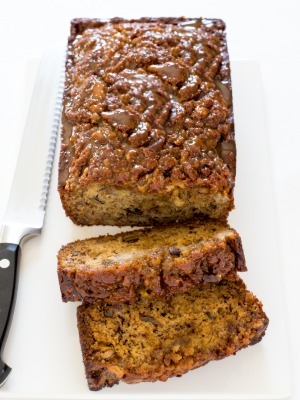 This Caramel Pecan Banana Bread is perfect for breakfast or dessert! Preheat oven to 350 degrees. Grease a 9 x 5 pan with nonstick cooking spray or butter. In a stand mixer with the paddle attachment cream butter and brown sugar until fluffy, 2-3 minutes. Add in eggs one at a time and mix until combined. Add in vanilla and mashed bananas. With the mixer on low add half of the dry ingredients followed by all of the milk. Mix until just combined then stir in the rest of the dry ingredients. Do not overmix. Add the batter to the prepared pan and spoon the caramel sauce on top. Swirl the caramel sauce into the bread. In a small bowl combine the flour, brown sugar, and butter until it is combined and crumbly (like wet sand). I use a fork to work the cold butter into the flour. You can also use a food processor with a couple of pulses. Stir in the pecans. Remove from the oven and allow the bread to cool completely before releasing from the pan. Add all of the ingredients except for the vanilla to a saucepan. Cook over low-medium heat until thickened stirring occasionally, about 8 minutes. If the sauce isn't getting a lot thicker turn up the heat a bit and keep and eye on it making sure to whisk constantly. (The sauce will thicken as it cools in the refrigerator). Take off of the heat and stir in vanilla. Allow to cool in the saucepan. Transfer to a container and place in the refrigerator to firm up and cool. Iit to the bread dough? does it need to be buttermilk or would regular milk work as well? One thing you can do instead of buttermilk is to use regular milk with vinegar in it. 1 Tablespoon of vinegar for every cup of milk. The milk will curdle and it will have the same texture and acidity level and work great! I hope this helps! 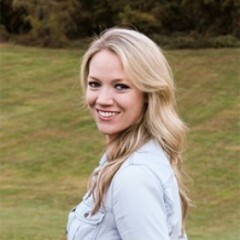 thanks for trying out the recipe and for commenting!